This year David and I purchased our first “adult” Christmas tree and I was so excited to decorate it! 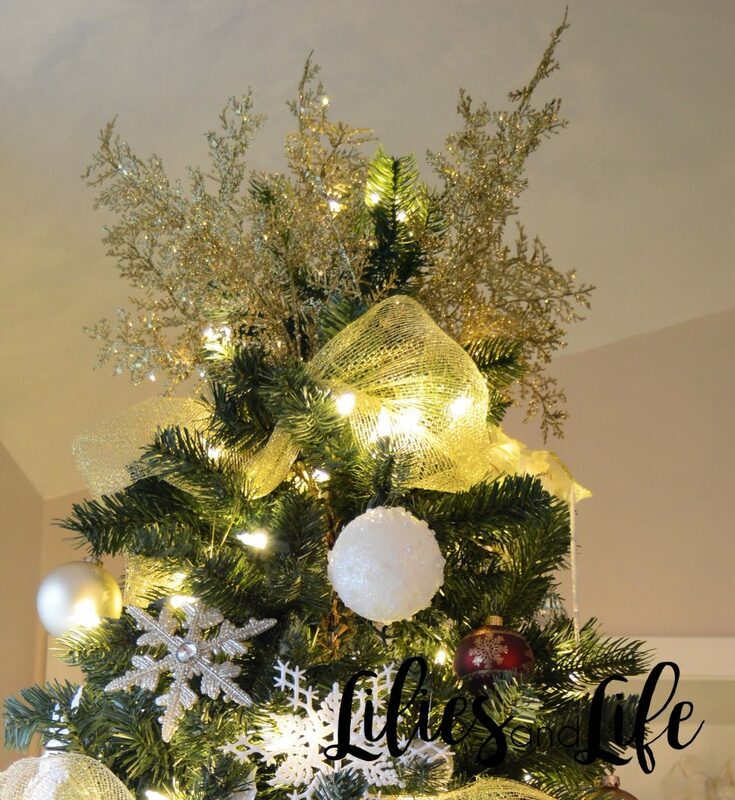 I wanted to get a 7.5 pre-lit tree for our vaulted ceiling living room and found this tree from Home Depot. This artificial Colorado Spruce is actually pretty awesome for how affordable it is. Assembly was so easy, the tree has color choice LED lights and the outside branches feel and look very real! I got the majority of my decorations from Hobby Lobby, Target and Amazon. 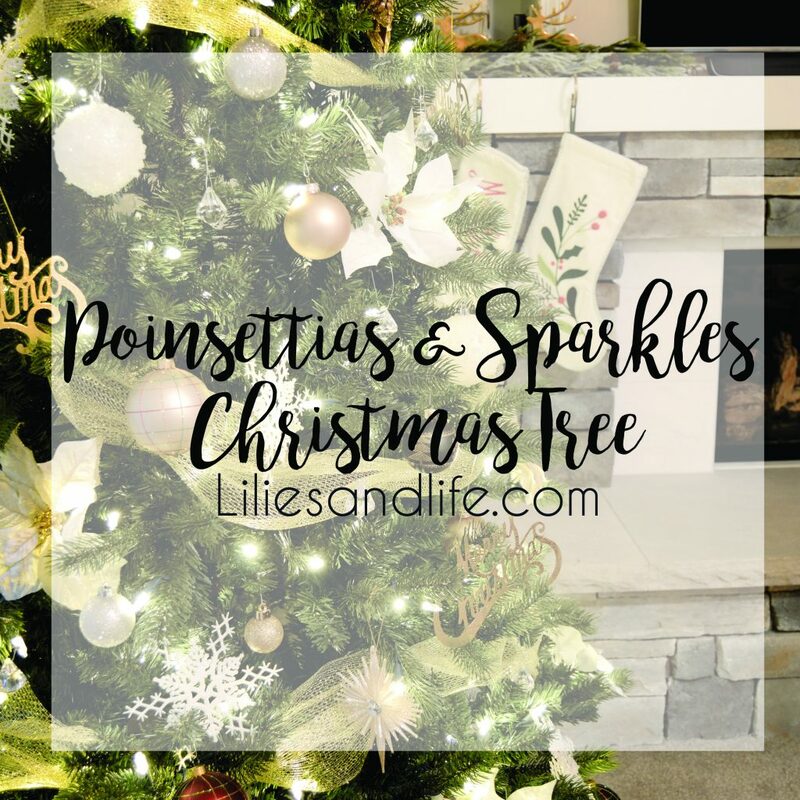 I went with a lot of sparkle and placed faux poinsettias all over the tree. 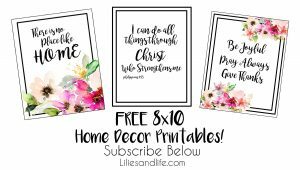 Some of these decorations I got from Hobby Lobby are already sold out online so I linked similar items, but you still might be able to find them in stores. 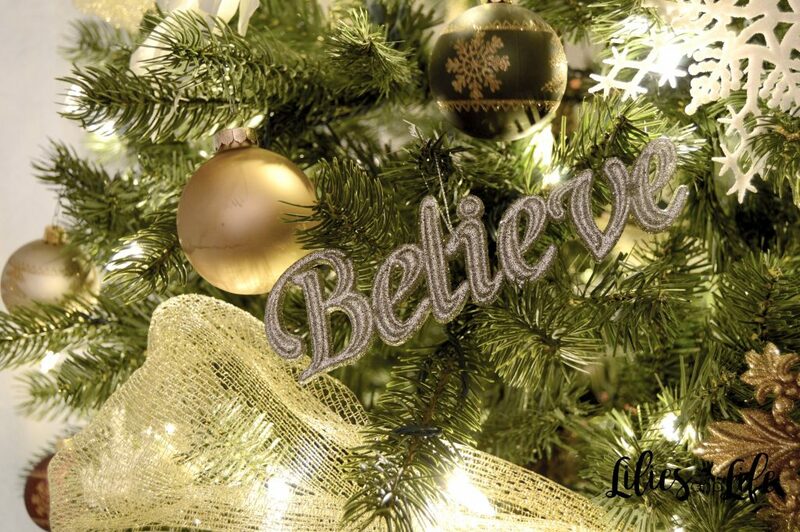 I did use some of my old decorations like the gold bulbs I found on a garage sale! Beautiful tree! We won’t be having one this year because of a new little furry feline that is determined to destroy everything, but I am saving up ideas for next year. Thanks for the inspiration! Beautiful! 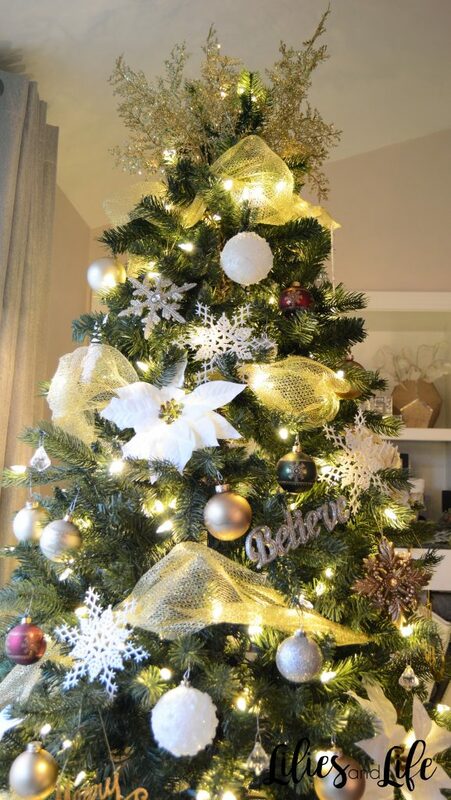 I love the gold accents with the white poinsettias!